Does anyone know where the main relay is on a 90 240? the book says it is under the glove compartment but I havent seen it yet. you are talking about the fuel injection relay? or pump relay? You need to remove the glove box to get to the main relay. Its the main fuel injection relay. Not the fuel pump relay. I ahve removed the glove compartment but I can find it. Pretty good stuff too addressing no start issues. I like his idea replacing all fuses with the more common glass. Wait a minute. 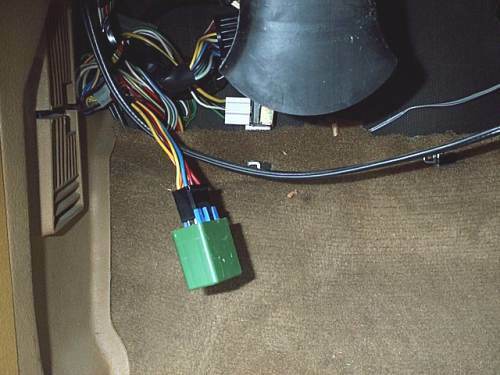 I thought the fuel pump relay was under the glove box. They are saying this is also a fuel pump relay. Sorry. I thought this was an injector relay. Last edited by John Gavina; 05-04-2012 at 09:35 PM. '88 240 - Where is "main relay"
Bulb Integrity Sensor / Bulb Failure Relay, IS IT WITH THE REST OF THE RELAY'S ?